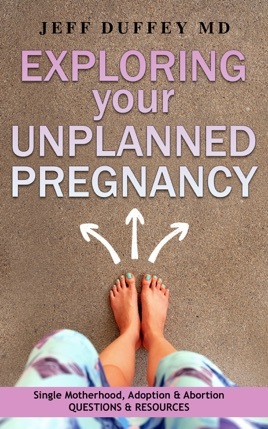 By looking only for books that confirm your pregnancy decision you may feel reassured at the cost of making a mistake that irreversibly changes your life. Please, read this award-winning book instead. Use it to get some distance from your immediate emotions and widen your perspective. You can reality- check your assumptions and make your own best decision. A physician wrote it with the help of 15 other professionals (12 women and 3 men). In it you’ll explore essential questions about single motherhood, adoption, and abortion to help you carefully think through your decisions about your unplanned pregnancy. You’ll find resource chapters that inform you and save you time in getting help. You can use the book to open a conversation with loved ones. It won the 2016 IndieReader Discovery Award in the Women's Issues category. Useful information on assessing your partner’s readiness for parenting and a video can be found at the .com website by the book’s title. Deciding to be a mother includes being willing to be a single mother should you lose your partner. The book’s single motherhood questions help you explore how single motherhood would affect you, your partner, your child, and your family. Use it to assess your single mothering skills. Or your partner’s. The resources help with cost calculation, money, fathering, and stress management. Adoption agencies now have more flexibility to respond to your choices about the adoption process, selecting adoptive parents, and post-adoption arrangements. New choices are available to shape a future relationship with your child. Using the resources, discover the various types of adoption, adoption law, expense payment, maternity homes, and how to make connections.